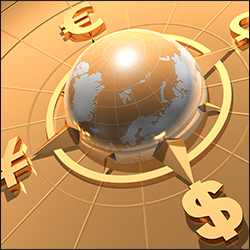 At a recent retail seminar held in New York on Financial Returns in Global Trade, speakers reported that retailers engaging in global trade best practices can expect to see substantial financial benefits, improved operations and lower compliance risks. This event, hosted by Amber Road and Sandler & Travis Trade Advisory Services, Inc., focused on how retailers can automate trade compliance for increased financial returns. 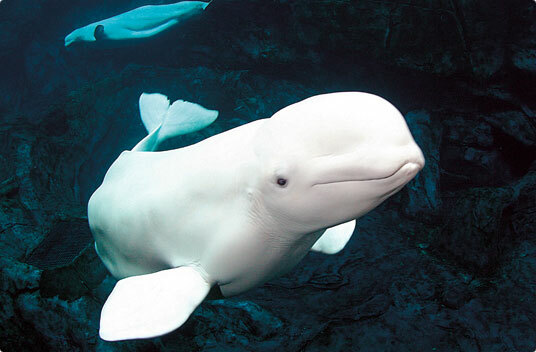 The Georgia Aquarium in Atlanta has recently applied for an import permit for 18 beluga whales for breeding and research purposes. Their application has reopened a nationwide debate on whether or not it is morally acceptable to keep "highly intelligent cetaceans," such as whales, in captivity. Iranian crude oil exports in December rose to their highest levels since EU sanctions went into effect last July. According to multiple sources, exports rose to around 1.4 million barrels per day (bpd) in December, up from a low point of less than 900,000 bpd in September. This export surge is not expected to last however, as a new round of Western sanctions aimed at curbing Iran’s nuclear program will take effect in February. London-based Notbox has expanded its eco-friendly cardboard alternative to the U.S. and Canada, hoping to increase its market share in the $424 billion global packaging industry, 25% of which resides in North America. The US Energy Information Administration (EIA) has predicted that US oil imports will fall to their lowest level in over 25 years by 2014. By then the US is projected to only import 32% of its oil, down from 60% in 2005. This will decrease crude oil and other petroleum product imports to 6 million barrels per day, half as many barrels as in 2005. Two executives of an electronic waste recycling company were convicted in December of smuggling, environmental crimes, mail and wire fraud, and obstruction of justice in conjunction with the illegal export of hazardous waste to China and other countries, according to the U.S. Attorney’s Office for the District of Colorado. Last week the China Nuclear Industry Huaxing Construction Co., Ltd. (Huaxing), a corporation controlled by the People’s Republic of China, pled guilty to violating the International Emergency Economic Powers Act (IEEPA), the Export Administration Regulations (EAR) and other related charges. This month the Justice Department and Securities and Exchange Commission (SEC) released a guide on maintaining compliance with the Foreign Corrupt Practices Act (FCPA). The FCPA, which makes it illegal for certain individuals to make payments to foreign officials to assist in obtaining or retaining business, has been largely criticized for being vague and overly punitive. This new guide is to serve as a reference for businesses seeking to comply with the law and the prosecutors charged with enforcement. Russia’s admittance into the World Trade Organization (WTO) last month signifies a significant opportunity for U.S. exporters, but only if Congress passes permanent normal trade relations (PNTR). Establishing PNTR would be one of the most significant steps in US-Russian commercial relations since the Cold War. However, failure to normalize trade relations would allow Russia the right to deny the U.S. the full benefits of its trade reforms, causing a serious disadvantage for U.S. exporters. On Monday the United States filed a complaint with the World Trade Organization against China for its alleged use of unfair subsidies to boost exports from its auto industry.